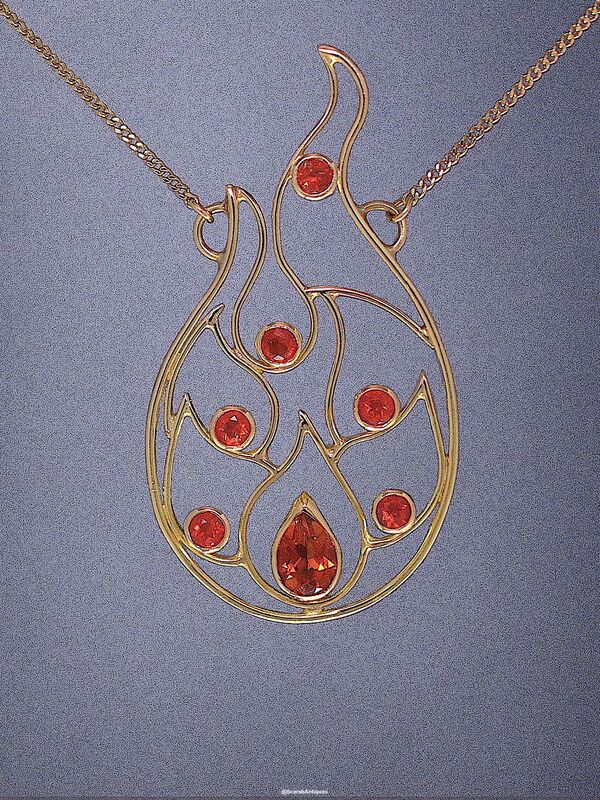 This gorgeous 18ct yellow gold pendant was designed and handmade by Jean Wilkinson. 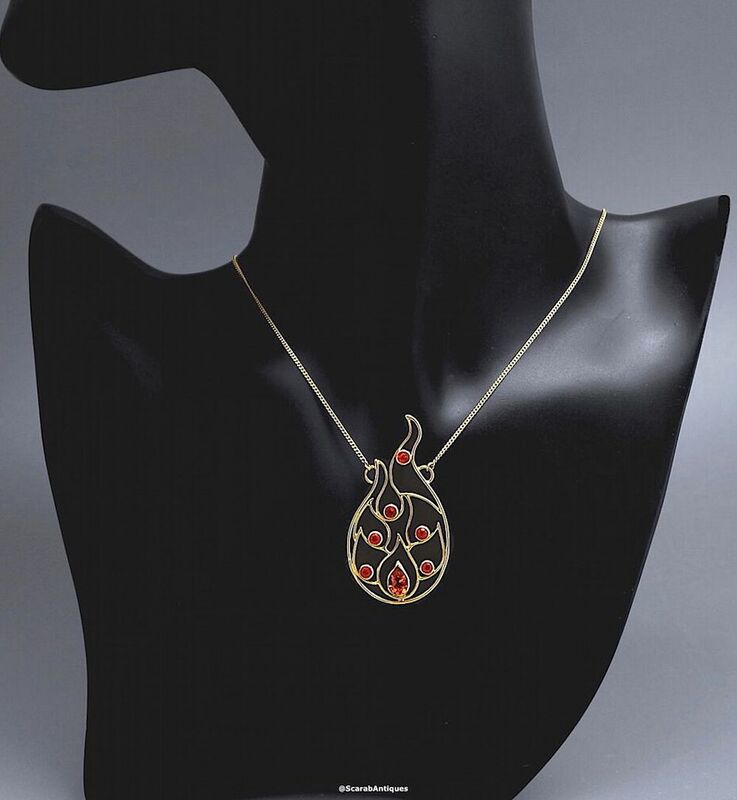 Designed as and known as Flames it comprises a series of flame like gold wire sections rubover set with 6 round fire opals and a pear shaped citrine. It hangs on a fine 18ct yellow gold chain.